All titmice and chickadees are quick and acrobatic in movement, often flying with daring maneuvers. They fly on short, quick flights that may be straight or in a slight up-and-down motion, regularly hopping from branch to branch and often hanging upside down in order to pry food from under tree bark. Some species of titmice and chickadees are able to regulate their nightly body temperature to conserve energy. Most species live in pairs or small groups during breeding periods, being very territorial. They often join other species' flocks when they are not in breeding periods. Some species display aggressive behaviors when competing for food in flocks. Two such displays are a heads-up posture in species with black chests and crest-raising in crested species. Songs are rare among the birds, but they do make a wide variety of loud and frequent calls. The birds nest mostly in tree cavities, holes, but also between rocks, in walls, on raised ground, and in artificially made materials such as pipes and nesting boxes. Birds use various soft nesting materials to line their nests. Most species nest between March and July, but others nest year-round or seasonally. Clutch size (group of eggs hatched together) varies between the various groups of titmice and chickadees, but generally ranges from four to ten eggs. Eggs are usually white or blushed pink with some red-brown spotting at the larger end of the egg. 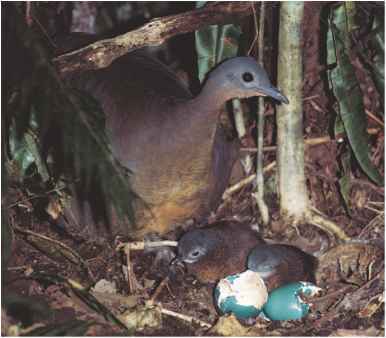 The incubation period (time to hatch eggs) is about fourteen days, and the brood period (time to raise young) is between fourteen and twenty-four days.